So, I feel like I have so much to plan, organize and write within the next week. By this point next week we will already be in the ACL Fest pre-show zone but to be honest, I'm not ready to write about all of that just yet. 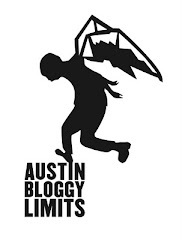 In year's past I have not attended the fest itself, focusing my energies on pre and after-shows but 2010 is the year of Bloggy and I'll be on the festival grounds making fun of Andy Langer every chance I get. Seriously A. Langer, Dawes? Wake me up when your favorite artists are finished performing. "Listen the show has started, do you want the $20 or not"
I was inside midway through their 2nd song. Unfortunately, I didn't really jockey for position to get good video so you can't really see the band in this footage, but they were up there, trust me. Also, take note of all the talking, how can people pay $50 for a once in a lifetime show just to talk through the whole effing set? STFU!! Opening for Jamie Lidell was up-and-coming artist, Twin Shadow. I received a preview copy of his forthcoming LP and I really dug it but the songs were even more impressive in a live setting. The tunes are already very atmospheric but in person they have a mesmerizing energy that really draws you in. The following video was the first song the band performed and it really won the crowd over. You could feel a definite shift in vibe from when the song began until when it ended. Make sure you catch Twin Shadow if and when they hit your town. I expect them back in Austin for SXSW 2011...or sooner. You can find one more video from Twin Shadow over on the Bloggy F*c*book. Look for all my ACL writing soon. See you at the fest?